Select Plan (Medicaid) members receive their pharmacy benefit through CDPHP. 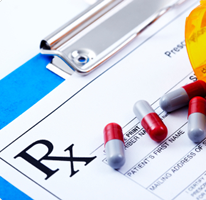 A formulary is a list of covered drugs. The Medicaid formulary is a useful reference to assist practitioners in selecting clinically appropriate and cost-effective drug therapies. The Medicaid Formulary Updates includes drug products were reviewed and acted upon by the CDPHP Pharmacy and Therapeutics Committee for Medicaid Formulary. The CDPHP Medicaid Over-The Counter (OTC) list represents select over the counter medications or products that may be covered with a prescription and at a network participating pharmacy. Quantity limits may apply. The Medicaid Prior Authorization Request Form for Prescriptions is to be completed by prescribing doctors when providing prior authorization or when requesting a formulary exception.